Is an influencer-led education program a good way to increase your skills or just an opportunity to get close to your favorite social star? Here’s what you need to know before signing up for a class. From a two-day intensive workshop by Instagram hero Tony Ly to advanced bling lessons with Yvett Garcia, influencer-led instruction is all the rage right now. 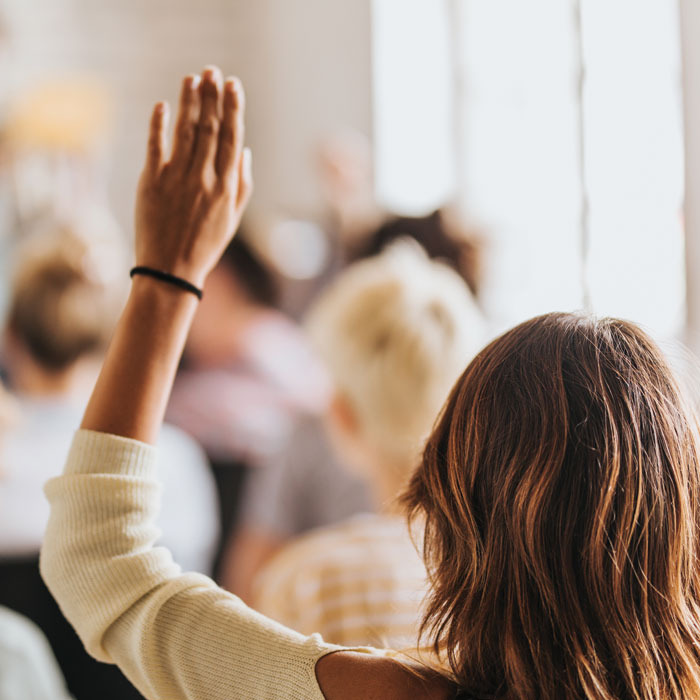 While completing a course taught by a nail tech with thousands of Instagram followers could potentially boost your business, it’s important to remember that not all education is created equal. Here, we break down the basics of how to vet an influencer-led program before you decide to make the investment. When it comes to influencer-hosted talon tutelage, there’s a dizzying array of options, says Ashley Gregory, independent educator and creator of The Nailscape blog. “Influencer-led education can happen in person or online,” she says. “Some seminars are held in standard conference rooms, while others occur on cruises.” To avoid becoming overwhelmed by choice, techs should first limit course content to that which matches their own scope of practice, stresses educator Jaime Schrabeck, owner of Precision Nails in Carmel, California. “There’s no benefit to learning about something you’re not legally allowed to perform on clients,” she explains. Next, identify classes taught by influencers whom you respect most, and ask yourself what you hope to learn from them. Make sure that the courses cover the skills for which those specific influencers are known. “Whether it’s intricate nail art, devastatingly beautiful sculpting or extreme shaping, instructors should be proficient when it comes to teaching signature styles,” Gregory emphasizes. Schrabeck also urges prospective students to consider this trio of factors when selecting an influencer- led education program: The course should increase business efficiency, tangibly eliminate problems and produce better results. “Classes providing nothing more than motivation are not as likely to be helpful,” she says. Still in doubt? Gregory suggests seeking programs tailored to a salon environment, as they offer the biggest bang for the buck in terms of direct, immediate benefits. Just because an influencer has a huge social media following doesn’t necessarily mean he or she has the qualifications to teach a particular class. Once you’ve honed in on the program that you’re most interested in, double check the instructor’s experience level—just as you would for any other education offering, advises Gregory. “Research the credentials of the instructor and determine his or her qualifications by considering total industry experience,” she says. Also, ask about the methodology of instruction— lecture format, demonstrations, hands-on workshop— and the specific topics that will be covered in the class so you know what to expect. Some trainers may only relay a limited trademark technique or fail to paint a complete picture if serving as an unofficial spokesperson beholden to a sponsor brand. Schrabeck advocates for independent educators (as opposed to manufacturer- employed sales reps). “There’s no existing rating system to ensure the quality of courses or hold teachers to an industry-accepted certification standard,” points out Schrabeck. “That makes it essential to verify any information provided, including consulting trusted professionals about their past experiences.” Gregory agrees, stressing that registrants should make an effort to reach out to former attendees on Facebook and Instagram for recommendations and evaluations. “Buyer beware if you encounter unhappy past customers,” she warns. one-on-one time with an Insta-star. Make sure that the cost of the class fits into your budget—as some can be quite pricy—and that the spend is worth it in terms of results. Ask about additional fees and if there’s a refund policy, and be sure to factor travel and lodging costs into your budget. Additionally, it’s important to find out what, if anything, registration fees include. “I’ve attended classes where product was provided, and others where I was expected to bring everything myself,” says Gregory. In cases of new releases or methodology, hands-on education is the best way to learn. “Any class advertised as hands-on should either provide a supply list or kits,” says Schrabeck. Whether you’ve learned new techniques or honed existing skills, it’s important to capitalize on your newfound knowledge after completing a course taught by a high-profile instructor, Gregory stresses. “In order to receive the biggest return on investment for any class, techs should add new services to their menus based on what they learned in a course if it’s right for their clientele and makes good business sense,” she says. Also, increase your existing service prices if you’ve gained relevant expertise. Finally, make sure your clients know that you’ve invested in learning new skills and techniques. “The best way to broadcast your new educational experience is through social media,” says Gregory. Post an Instagram story during your course so clients can witness firsthand as your skills improve. Snap and share a photo of your certificate, send an email blast detailing what you’ve learned and watch your appointment book fill up.